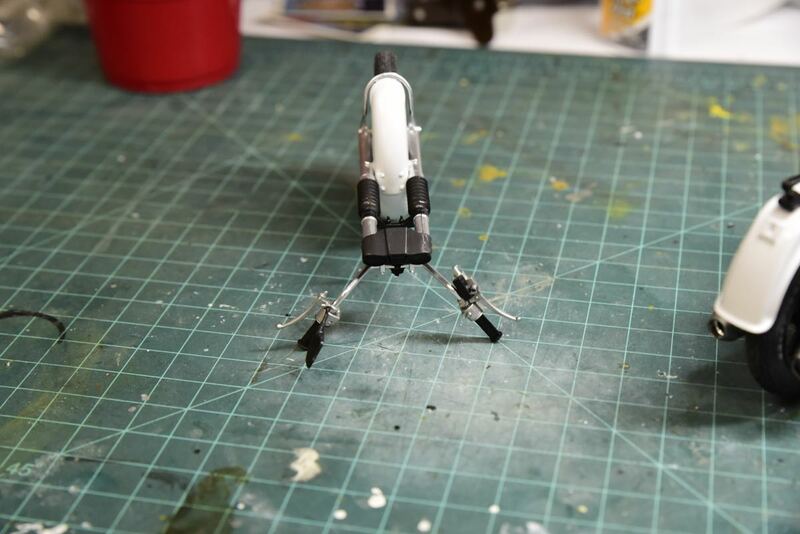 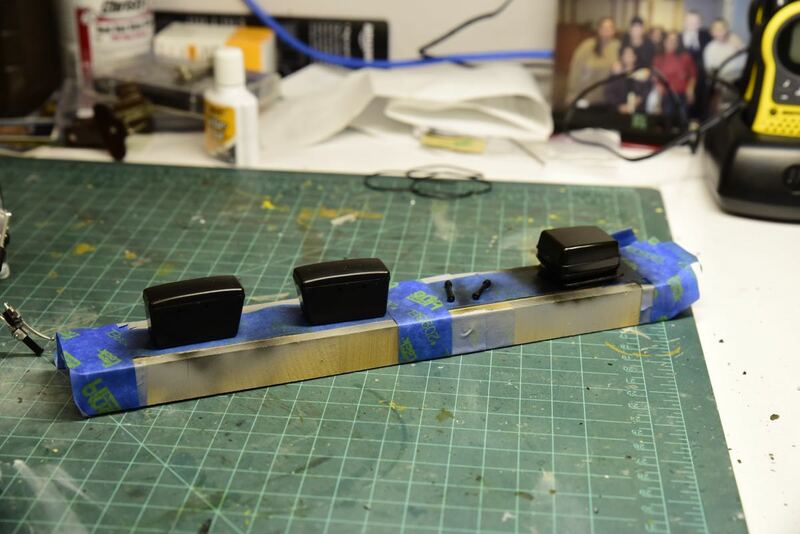 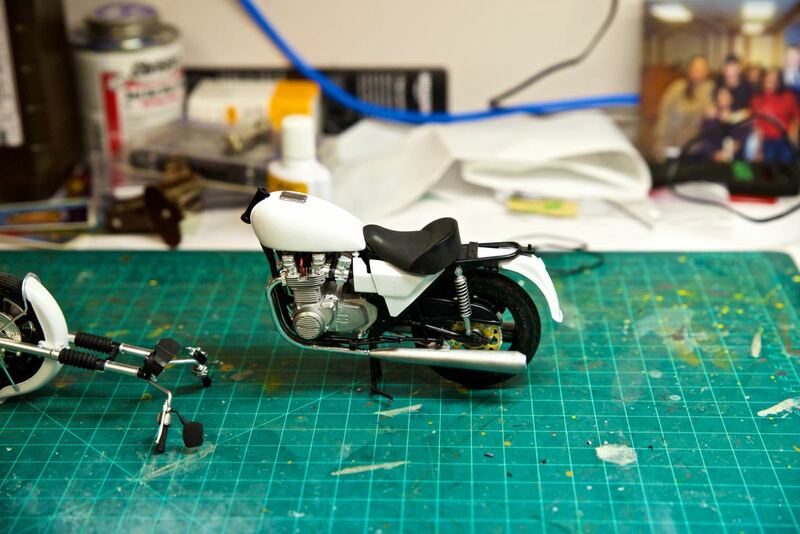 This is my latest build by Aoshima. 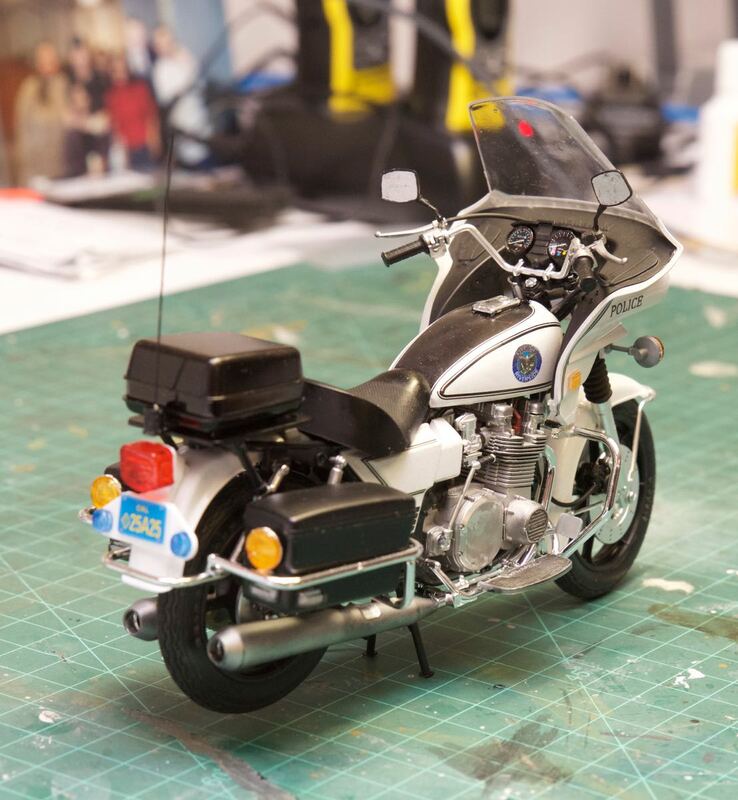 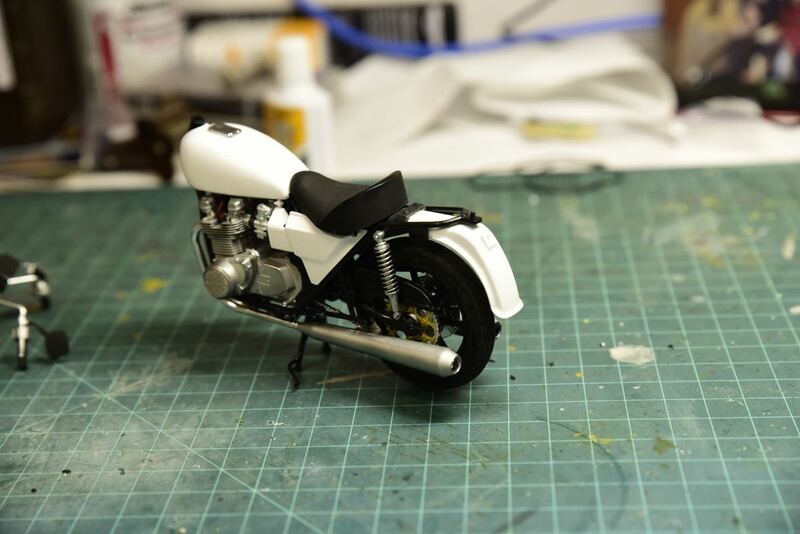 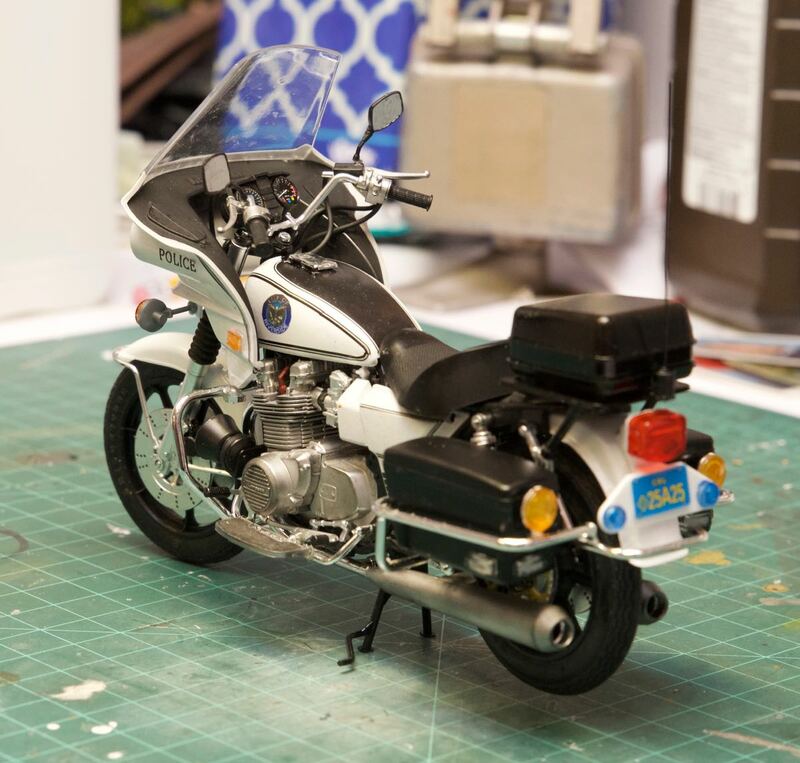 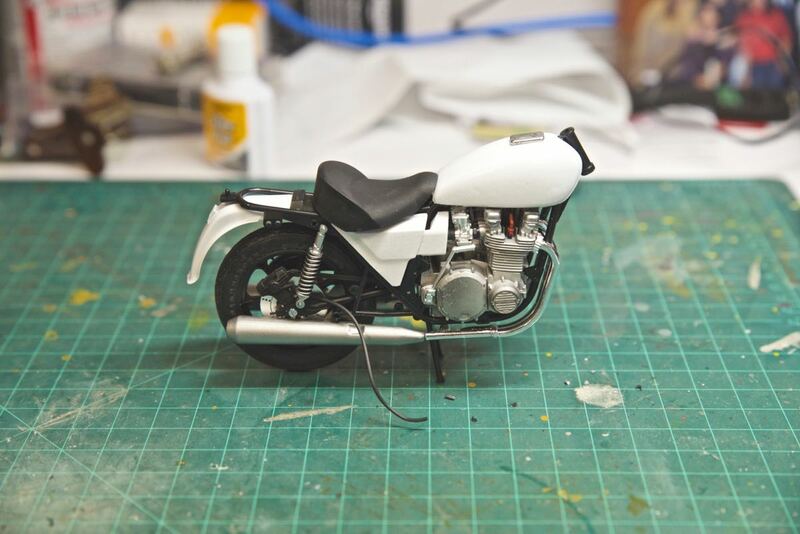 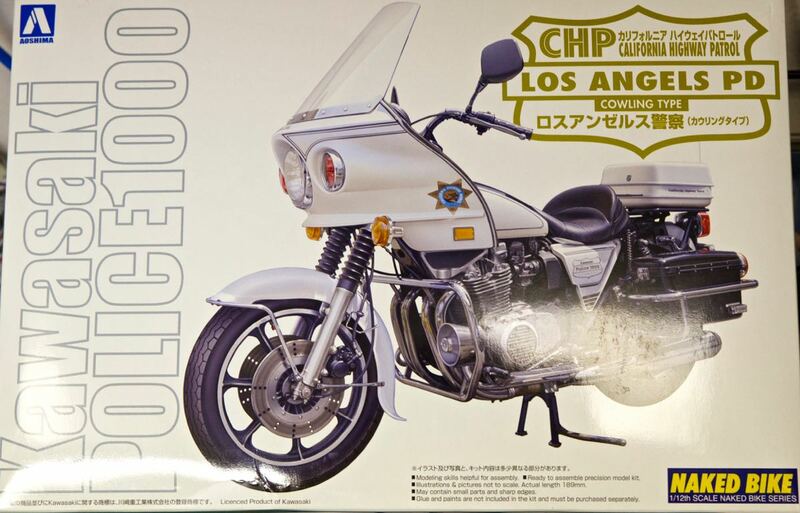 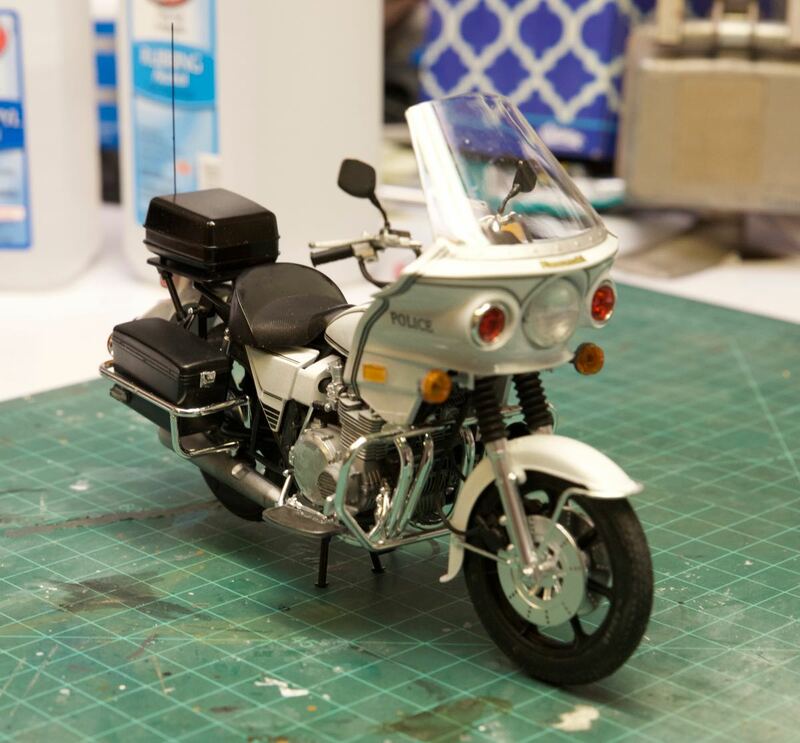 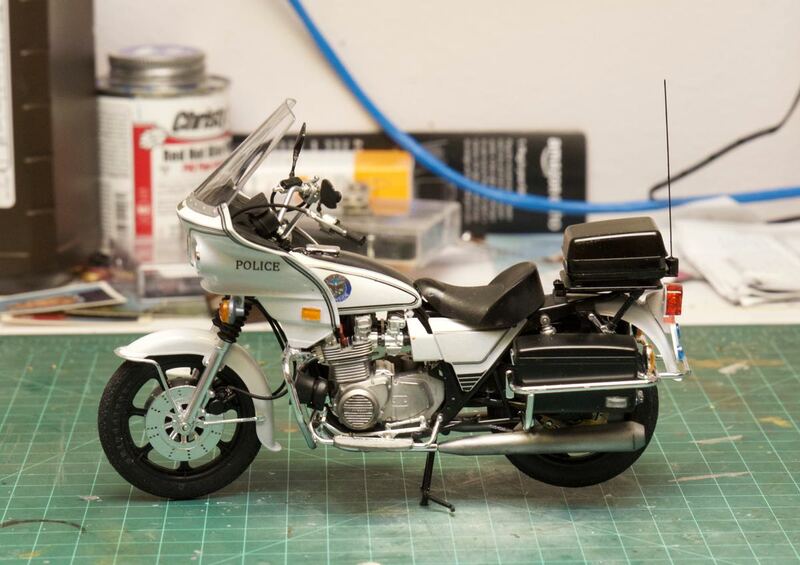 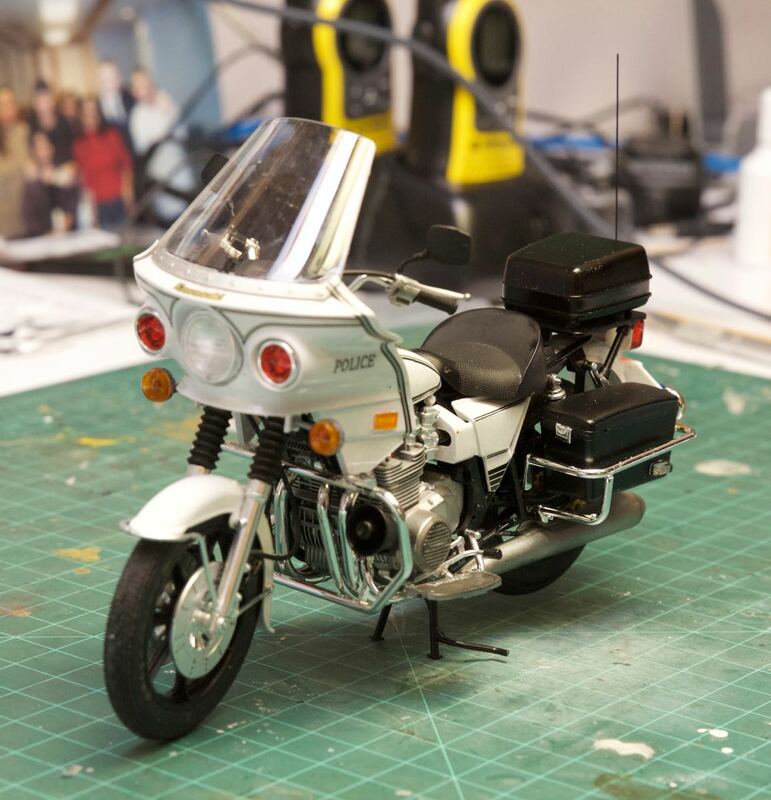 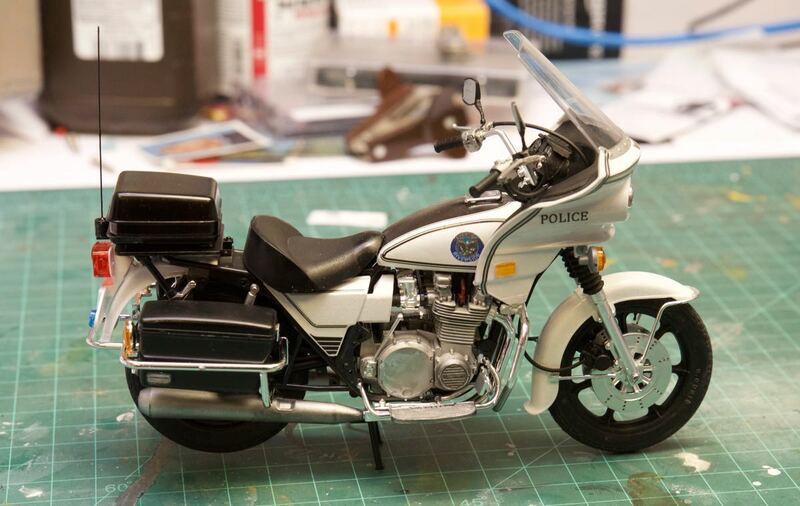 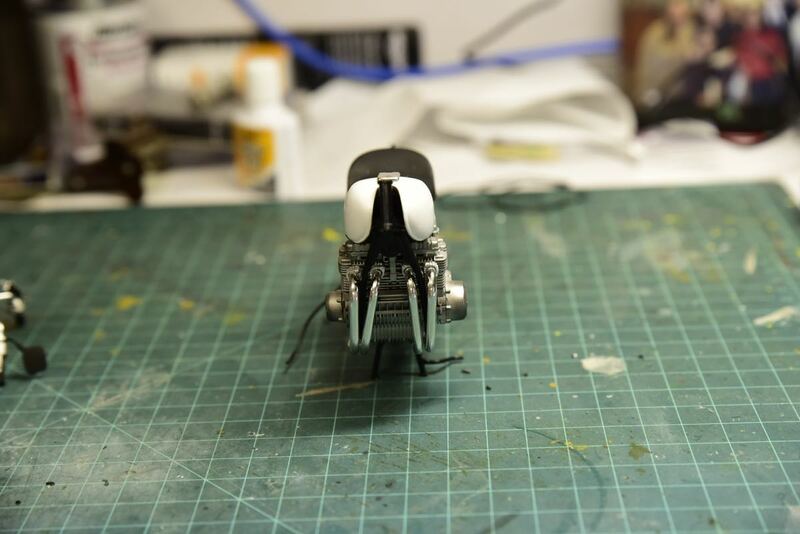 It is a very nice detailed model of the Kawasaki 1000 Police Motorcycle. 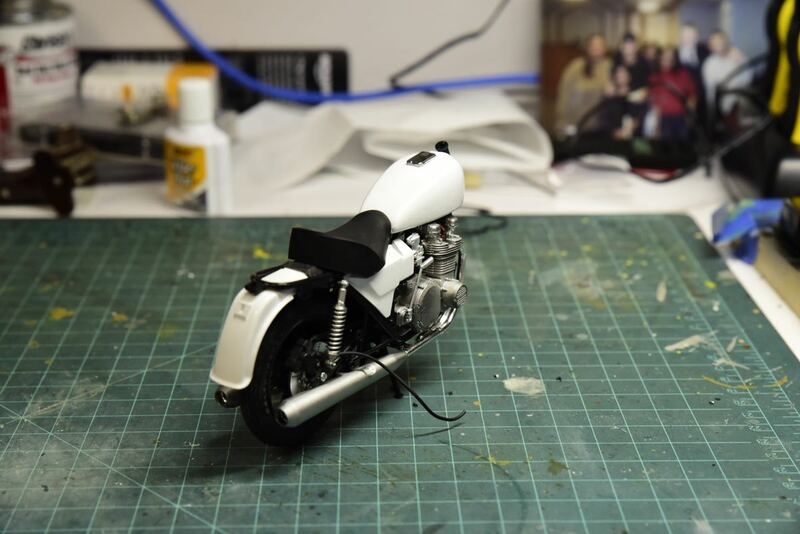 Building it was very straightforward, except for the exhaust pipes which I had to sand the seams and then spray with black then Alclad II.